Microsoft has the stuff to come out of this recession on top. Bailouts, credit collapse, depression, economic crisis, foreclosure, layoffs, recession, stock drops. These are the words that drive today's headlines and darken our watercooler and dinnertime conversations. It's rough out there, and hard times are hurting everyone. In late January, Microsoft did the unthinkable: It moved to shell 5,000 workers -- the first time in its history that the Redmond giant seriously shrank. The cuts had tongues wagging and Microsoft's stock dropping. Hidden in this news is the fact that sales in the most recent quarter actually rose, albeit by a paltry 2 percent. A 2 percent increase in sales during a recession is pretty darn good. Microsoft released 5,000 workers to protect its margins and share price -- not to recover from losses. The better news? Microsoft is hiring as many as 3,000 new workers to drive growing businesses such as search, the Web and the cloud. Microsoft has been lucky so far. This recession has seen huge players disappear. The auto industry and banking world are on the brink of collapse, Circuit City has shuttered and layoffs of tens of thousands don't even raise an eyebrow. The Dow is more like the "ow!" This essay will not predict the financial future of Microsoft. No one can. I simply intend to explain the intrinsic strengths of current and near-term Microsoft technologies, and the huge role a vibrant and creative third-party market plays in creating an effective Microsoft ecosystem. The following words are the opinion of one man; one man who has watched Microsoft on and off since 1984. Oh, and a couple of loyal Redmond readers weighed in as well. Anyone who knows my work is aware that I'm the furthest thing from a Microsoft puppet or apologist. I'm tougher on the company than Charles Bronson was on street thugs. But I also have tremendous respect for Microsoft's drive and business sense, and for most -- though certainly not all -- of its products. This discourse focuses on what's good and sometimes great about Microsoft. My thesis is that if anyone can weather this storm, it's Microsoft. Strong companies start with strong people, and Microsoft has an all-star roster. Bill Gates retired from full-time duties last July, but remains chairman. Gates may no longer spend 80 to 100 hours a week on Microsoft duties, but he's still very much engaged in high-level initiatives, insiders report. 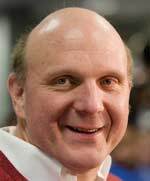 I'm struggling to find a technology executive with as much history as CEO Steve Ballmer. Steve Jobs founded Apple, but took an unplanned 12-year hiatus. Larry Ellison, who's run Oracle for the last 31 years, is another candidate, but Ballmer doesn't spend weeks away from work racing sailboats or cruising on 452-foot yachts. After working at Microsoft for nearly 29 years-and accumulating $11 billion in net worth, according to Forbes magazine-Ballmer hasn't lost one bit of his famous passion and energy. The real weapon is on the technical side: Chief Software Architect Ray Ozzie. Ozzie can't oversee every project. Instead, he's setting a broad agenda focused on Web services and the cloud, and inspiring Redmond code jockeys to see it all through. While private and shy, Ozzie is also a visible guru to the outside world, explaining where Microsoft's going and how it'll get there. I can't say I'm a fan of Microsoft Office. The suite has an impressive array of features, but the software isn't elegant and too often makes obscure tasks easy and routine tasks difficult. Fortunately, Microsoft gave up on the features war. Today, OpenOffice.org has as many features as Redmond's Office, compatible file formats and good ease of use. However, the 20-year-old Office is part of a system: It's a front-end to ERP back-ends, uses SharePoint as a rich repository, works as part of a unified communications system and acts as a Groove client. Office is so fundamental to the way we compute that it's the glue that makes the Mac part of the enterprise. Enough said. "The perspective I'd bring is not one of recession; what I'd [rather] say is the economy is resetting to a lower level of business and consumer spending that's based largely on the reduced leverage in the economy." In the March 2009 issue of Redmond I wrote a cover story about Windows 7 ("Will Windows 7 Be Microsoft's Redemption? "), and there was so much great reader feedback the second half spilled into this issue. Based on the feelings of a dozen Redmond readers, this puppy is going to rock! It's shockingly stable, the interface has been cleaned up nicely, applications and devices are pretty darn compatible, and the thing just plain flies. 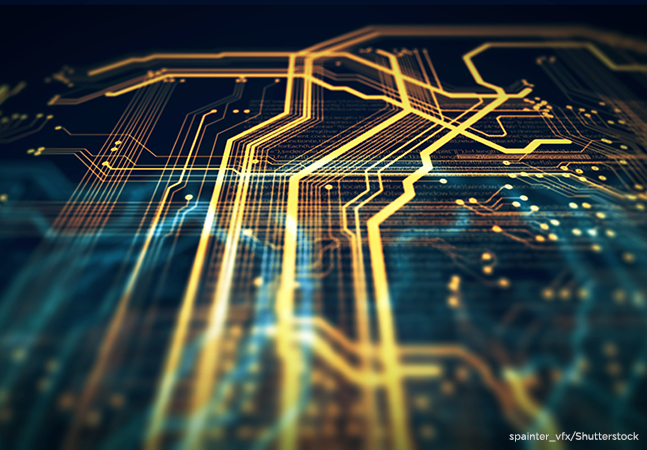 In short, this OS can drive low-cost machines, as its systems needs are slight, and is equally adept at powering high-end apps. As of this writing, Internet Explorer 8 was still in test mode. More than 50 Redmond readers wrote me, and the vast majority reported loads of problems with the test software, such as instability, interfering with the rest of the computer and, in the worst cases, thoroughly trashing the machine. But that's what betas are for. The bigger problem? The recently released IE8 release candidate 1 exhibits much of the same bad behavior. Let's see if I get this right. If I use the cloud instead of my own data center, I can save energy. As I see it, the data center I use -- either Microsoft's or my own -- may or may not be energy efficient. I don't see how the location has anything to do with how much energy it uses. Try this. If I use my home computer, which is bloated because it's running Windows Vista, and buy a cloud service to handle my checkbook, correspondence and record keeping, I should save energy. I don't understand how that can be true. This reminds me of the guy who wants to save energy by charging his cell phone from the car. That isn't free energy. The car's engine has to run a tiny bit harder to charge the phone. It isn't much, but it's the same amount as you'd draw from the wall outlet at home. Microsoft owns the computers and the equipment in which the data and created applications will reside -- so who controls this now and in the future? Possession is 90 percent of the law, so how will you get your 'property' should something change in the future? What's to prevent Microsoft from taking what you create as its own? Security worries me any time you don't control the equipment in which applications and data reside. The idea of being able to access this from any location sounds great, but hackers would have a field day. They could hold your applications and data hostage. When Microsoft gets to the point where you purchase its products and services and you don't have physical control of your applications and data, then you're residing in a socialist state where the company gives you what it wants. Microsoft doesn't have any understanding of its customers. I run a start-up global sourcing business, and I spend a significant part of my day playing games with one Vista operational problem after another. As if that's not bad enough, Microsoft provides virtually no customer service. Will Microsoft's vast cash reserves last it through the need to convince the public that there's any good reason to invest in Windows 7 -- or even to download Vista Service Pack 2? Assuming these stability problems get sorted, let's look at what IE8 promises to do. The main issue is security, such as protecting against new-style attacks like "clickjacking," a new type of phishing where users are tricked into visiting a malicious site that then takes over their machines. While many users are trying to wrestle the rambunctious IE8 test code to the ground, some already find it far faster than IE7, with a better pop-up blocker, slicker tabs and the ability to recover from crashes with the tabs and pages fully intact. In general, many IT professionals find IE8 easier to install, manage and patch -- thanks largely to Windows Automatic Updates and Windows Server Update Services. About three years ago, Microsoft's collaboration strategy was more confusing than a Rosie O'Donnell blog posting. The company had Exchange, its first real foray into groupware, meant to dislodge Lotus Notes; Office add-in tools such as Office Communicator and Office Communications Server; and other tools that let Outlook share data -- and it had just bought Groove for a cool $120 million. Soon after, Microsoft quietly coalesced around SharePoint as its key collaboration tool, and thus birthed a brand new third-party market. SharePoint is now aimed at IT as part of a system where Windows Server anchors the back-end, SQL Server and Exchange are the key server apps, SharePoint contains shareable documents and unstructured data, and Office acts as the end-user front-end. Microsoft is pushing a similar architecture for developers, and more and more corporate programmers are crafting apps that use the SharePoint repository. The result of all this? Microsoft says it has sold some 100 million SharePoint licenses and is pulling in a billion dollars from SharePoint annually. Microsoft has had virtualization technologies in some form since 2003. Still, Microsoft is seen as a latecomer. Maybe that's because VMware established the market and enjoyed more or less full control until Hyper-V shipped last summer. Hyper-V turned out to be solid technology and, now that it's free, the price is clearly right. Until recently, though, Hyper-V was missing one key feature: Live Migration, where a virtual machine on a failing server can be moved to one that works-with no downtime. Luckily Windows Server 2008 R2 now includes a beta, but usable, form of Live Migration. Hyper-V, by virtue of its bundling with Windows Server and free extra licenses, gained instant market share: nearly 25 percent right out of the gate, according to some researchers. Hyper-V's first foray is into small installations, departments and non-critical apps. There are plenty of these. 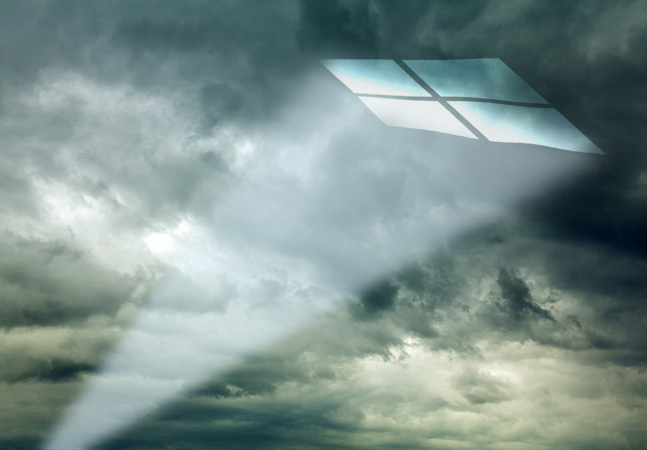 Now, with Live Migration nearing, Hyper-V can soon move into more difficult surroundings. Microsoft also has Terminal Services, now called Remote Desktop Services; application-virtualization tools it acquired by buying SoftGrid; and an increasingly rich management tool in the form of Microsoft System Center Virtual Machine Manager. The nattering nabobs of Microsoft negativism claim the firm is late to every party. In the '80s, Microsoft was late to the Web, and in 2009 Microsoft is supposedly late to the cloud. The reality is that Microsoft already owns the popular Hotmail, IE maintains majority market share, Silverlight and the Expression line are top-notch and thoroughly modern Web dev tools, and key server apps such as Exchange and SQL are resting comfortably in the cloud. That's the easy part. Microsoft is working on a richer approach. Azure is Microsoft's planned cloud platform. It includes a cloud operating system, development tools and application services -- all of which tie into massive Microsoft data centers. If Microsoft gets it right, your server farms, SANs and untold yards of network cables will be replaced by high-speed WANs talking to your new data center hosted by Microsoft. In a tough economy and in a world where electricity is suddenly a precious commodity, this is a compelling concept. The trick for Microsoft is to make the transition cheap enough that IT can quickly realize the economic benefits. PC users with multiple machines all wish they could store files in one place and get them from any device. Microsoft is more than happy to oblige with Live Mesh, an Ozzie invention that's still in beta. At first I was confused by Live Mesh. It seemed overly complicated and appeared to require that brand-new apps be built. Now that Live Mesh is ready for serious testing, the story is suddenly simpler and the concept is obvious and compelling. As an end user, you register yourself over the Web, identify the devices you or your compatriots commonly use, and then pick the files you wish to share. 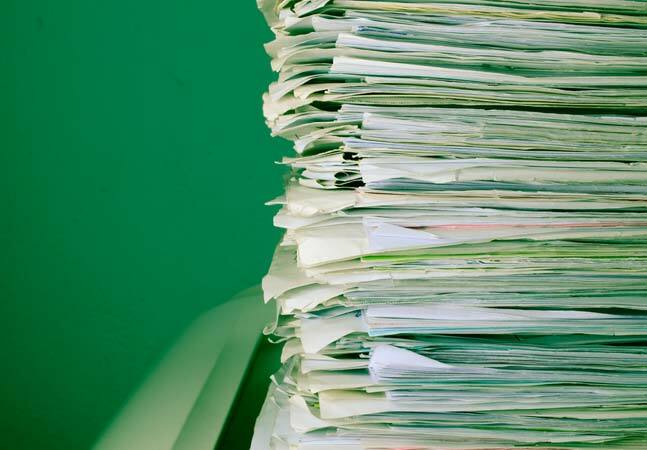 Once done, you and your chosen partners can access, edit and save these files from laptops, cell phones and other devices yet to be determined. One Redmond reader is already a fan. "Mesh has come in quite handy. I'm using it on two desktops, a laptop, my phone and my wife's phone," says Christopher Owens, MCSA, MCSE 2003 +Messaging, an IT manager for Southeast Missouri Community Treatment Center. "My biggest use is syncing my music. No more sitting at the computer, moving songs over and waiting for them to transfer over USB or Bluetooth. Now I copy the songs I want to a folder on the laptop or desktop and walk away, and they go to any other device I've told them to sync to. And the built-in remote-desktop feature is just a little bonus," Owens adds. "We remain incredibly positive on Microsoft, the technology industry [and] the opportunity for innovation." As I previously mentioned, naysayers claim Microsoft missed the Internet boat. Redmond might not have the Web power of Google, but it's clearly the second-most influential force on the Web. That's right: Microsoft is more important than Yahoo! or AOL. Back in 2006, we compared nine major Web tools from Microsoft and Google. Microsoft won five categories, including desktop search, instant messaging, mapping, browser toolbars and spreadsheets. The four tools that brought Redmond down were Web search, Web mail, Web portals and Calendaring. Google clearly has more Web momentum, but the new tools from Microsoft are no slouches. Microsoft offers blogging software, photo and video editing for the Web, and the new Windows Live and Office Live lineups. Microsoft's secret weapon, saving grace and biggest ally is its third-party ecosystem. If a Microsoft product doesn't work, third parties come to the rescue. If key features are missing, third parties again step in. And if you need to store data, manage applications or change software behavior -- yup, third parties are at the ready. Third parties, in my estimation, are where the real innovation takes place. Third parties only exist if they have a great idea and great execution. And to make it all work, these same third parties risk their own money, time and reputation. There's simply no group of third parties that match what Microsoft has in its corner. Redmond magazine celebrates third parties as best we can, and -- honestly -- we wish we could cover more of these entrepreneurs and their products. Microsoft's third parties exhibit the same tenacity and invention as Microsoft itself, and I think the bulk of these ISVs will come through this recession just fine. Unlike auto companies, Microsoft can more or less turn on a dime. A bigger strength is that Microsoft has an overall system. Windows ties to the browser; Office and Windows tie to the server line; and development tools such as Visual Studio allow all of this to be highly customized. Nearly every new tool you see from Microsoft fits into the overall system. This way, Microsoft doesn't have to have best of breed, so long as it has the best integrated solution. Finally, Microsoft has no plans to give in, and plans to invest for the future. "RCA [has] become our role model. 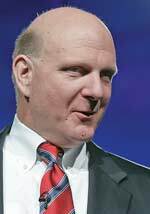 They actually kept investing in R&D through the Depression period, and in the post-Depression they dominated TV technology because they were really the only guys who had invested," said Microsoft CEO Steve Ballmer in late February. Readers have faith in the company's product portfolio -- and they trust Microsoft's conservative business approach, as well. 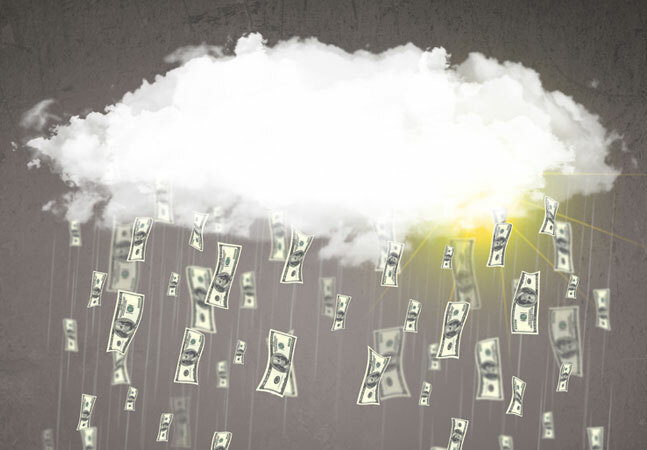 "Does Microsoft have the stuff to make it through economic calamity? The answer has to be 'Yep.' They have over $20 billion [yes, that's with a "B"] in cash in the bank. Yeah, they'll probably do just fine," says James Kays, a network administrator for a large manufacturer and distributor in Gloucester, Mass.